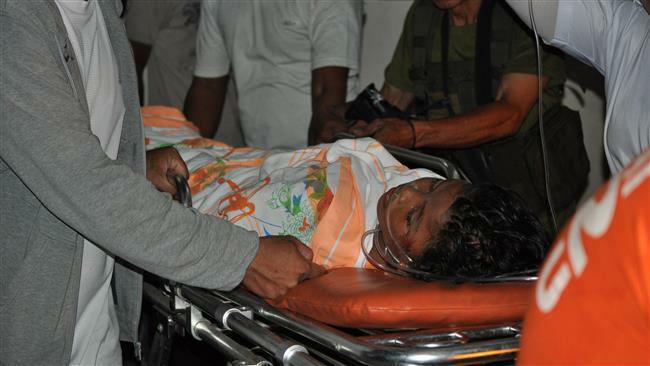 JNN 30 May 2015 Manila : At least 18 people, mostly police officers, were injured after two successive blasts targeted a mosque on a remote southern Philippine island, security sources say. According to police, two blasts, an initial grenade attack followed by a bomb explosion, struck a mosque in Jolo town on the southern Philippine island of Mindanao o Friday. In the first attack, five civilians, including three children, were wounded while the second assault, which occurred less than 10 minutes later, led to the injury of 11 police officers and two civilians. “It seems the (first) explosion was set up to draw responders as the target,” the provincial police chief Senior Superintendent Abraham Orbita told reporters. No group has so far claimed responsibility for the attacks, but Philippine officials often blame such incidents on Wahabi Terrorist groups such as Abu Sayyaf, said to have had links with al-Qaeda. The Philippine Terrorists have been behind many of the worst terror attacks in the Southeast Asian state over the past years, including the 2004 bombing of a ferry that killed more than 100 people. 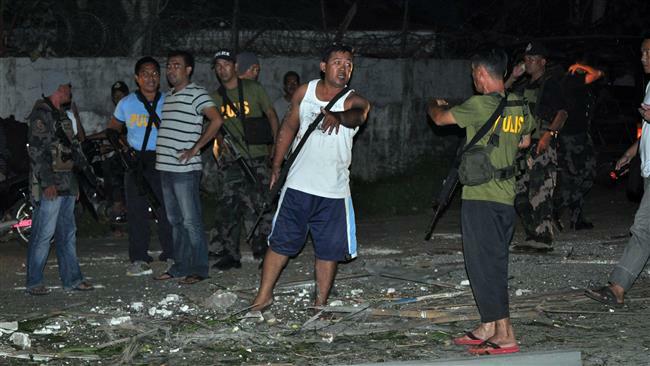 The Terrorist groups seek to establish an independent homeland in the troubled south of the Philippines. This entry was posted in Jafria and tagged bomb attack, bomb explosion, Island, Mosque, Philippine officials, Philippines, Police Officers, provincial police chief, Senior Superintendent Abraham Orbita, southern Philippine island. Bookmark the permalink.